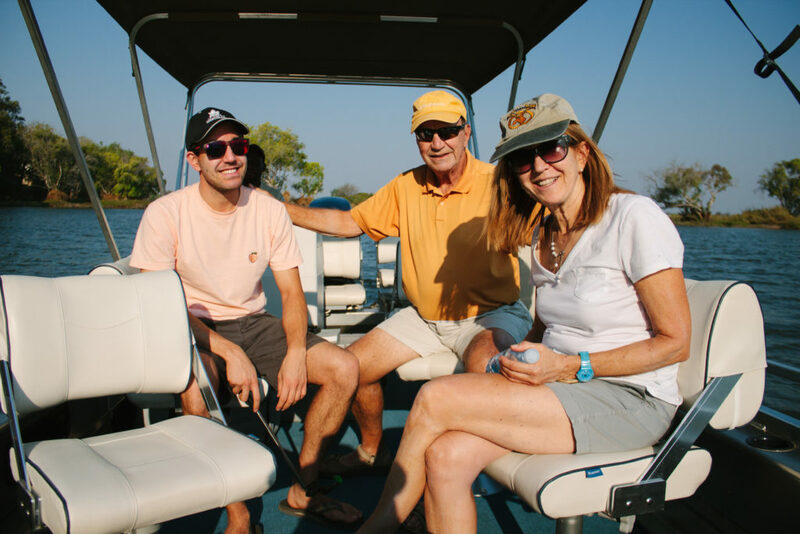 “Everything is Possible” – this was the favourite phrase of our host Dennis, at Thorntree Lodge in Zambia. We loved this phrase, strangely even more optimistic than “Anything is Possible,” and adopted it as the motto of our 2 week trip to Zambia, Zimbabwe, and Botswana. 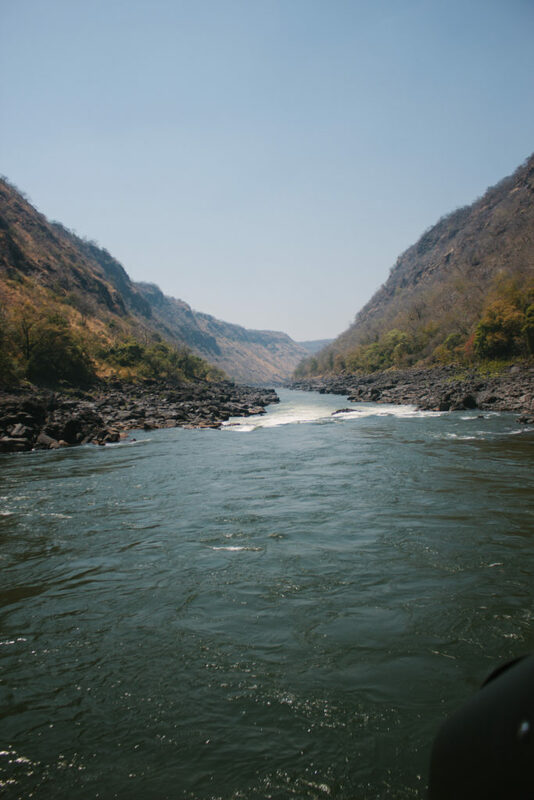 The trip truly did feel like everything was possible, from helicoptering into the gorge of Victoria Falls, to coming within arms reach of 12 lions, and driving through water in our Land Cruiser like we were parting the Red Sea. 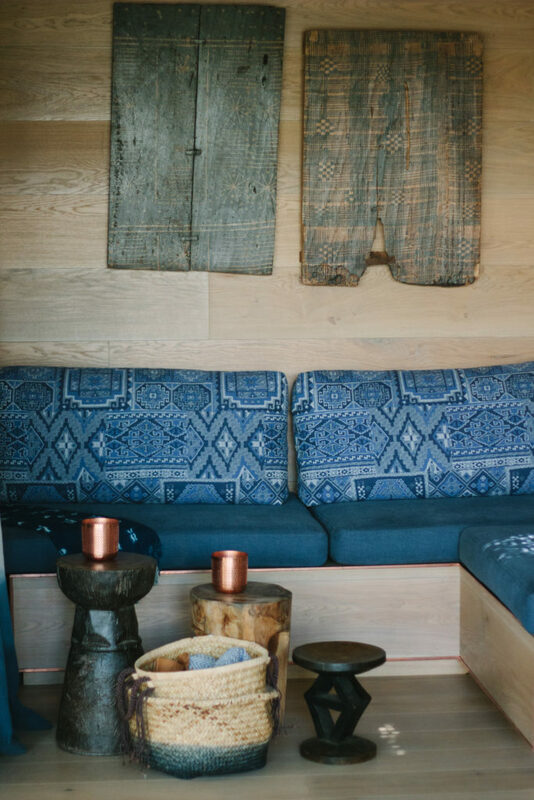 This is the first of a few posts I’ll do about this amazing trip I took with my family – it was truly the trip of a lifetime. 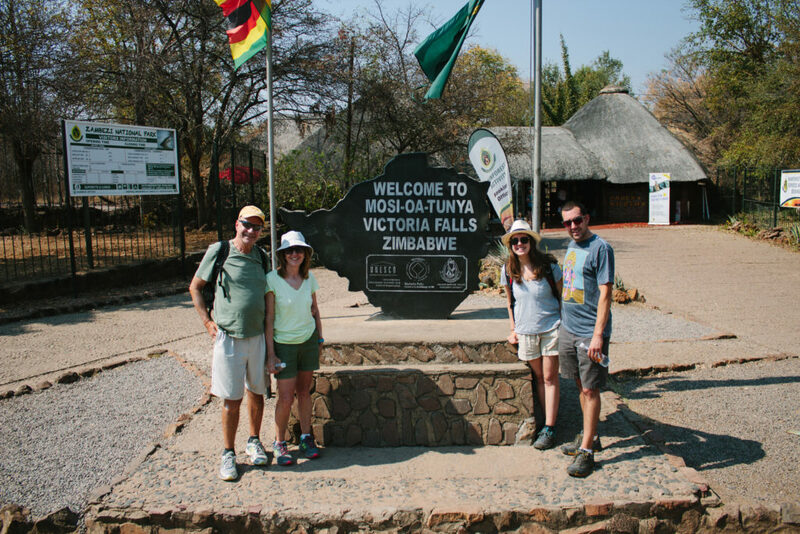 We started our trip in Zambia. 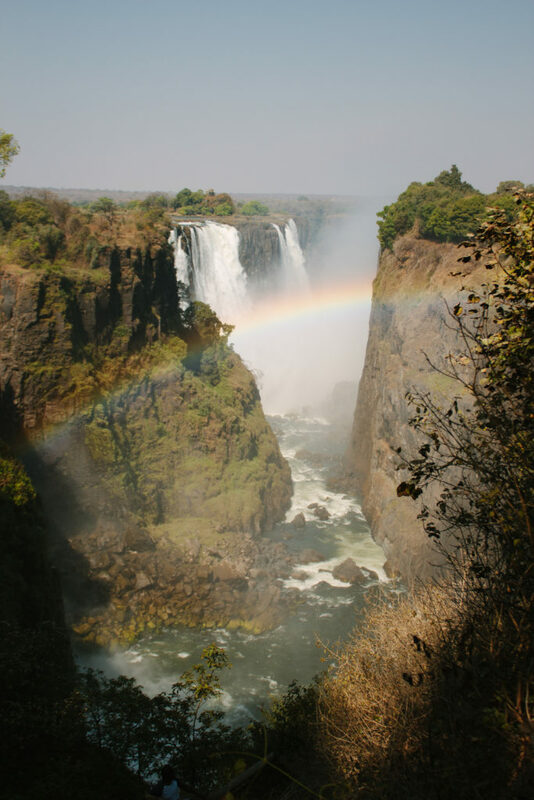 We were there to visit Mosi-oa-Tunya, or “the smoke that thunders,” which is the local name for Victoria Falls (and frankly, a much better name). 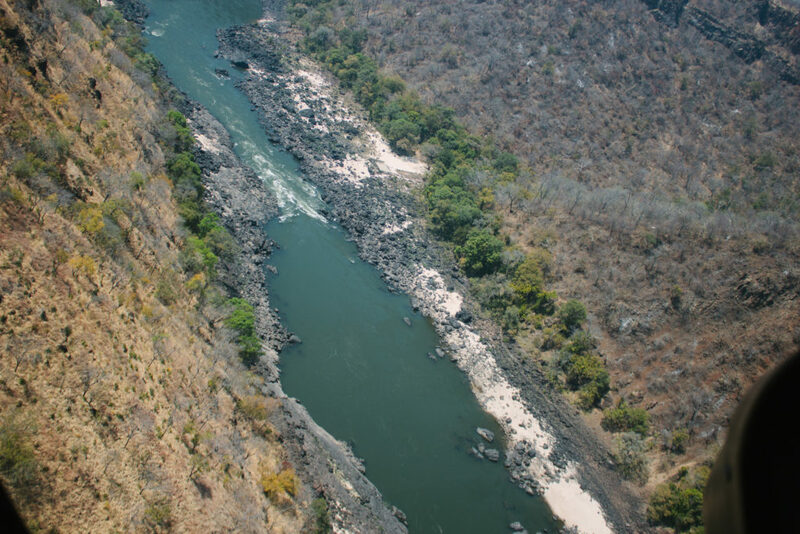 We were lucky enough to stay at the gorgeous Thorntree Lodge, right on the Zambezi River. 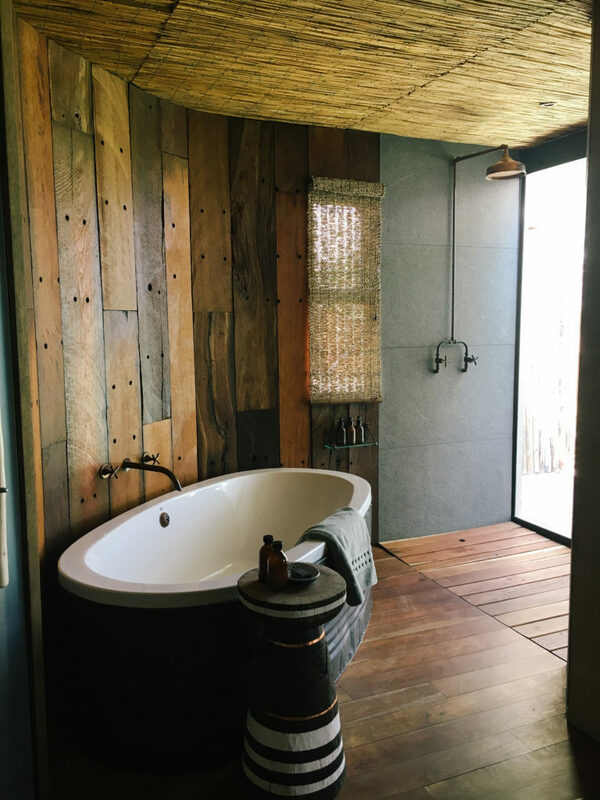 The accommodations were incredible – and I gasped when I saw the outdoor shower and giant bath tub. 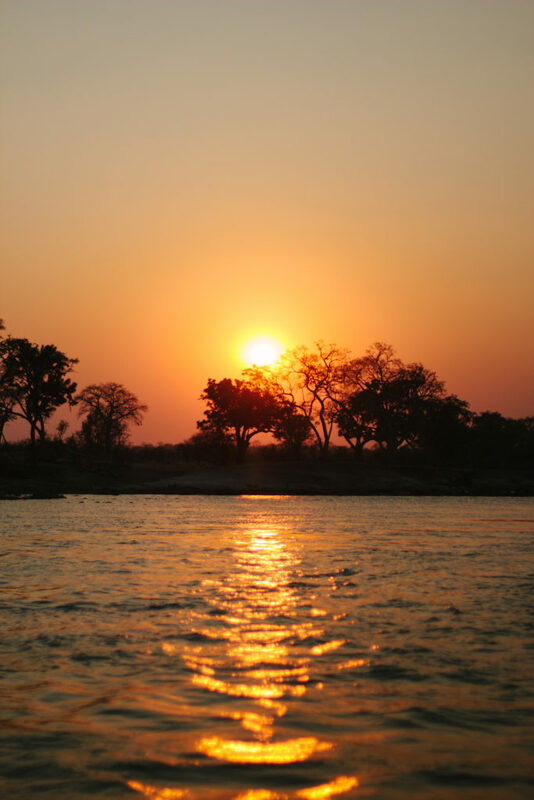 The evening we arrived we were treated to a beautiful sunset river cruise, where we sipped G&Ts and watched the hippos and elephants in the water and on the banks. 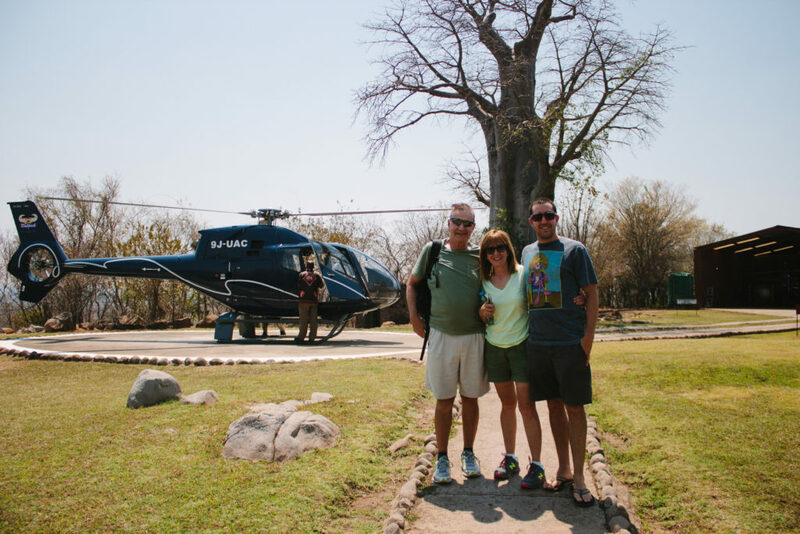 The next morning we had a jam packed day – we woke up early to drive out to find the local population of white rhinos. 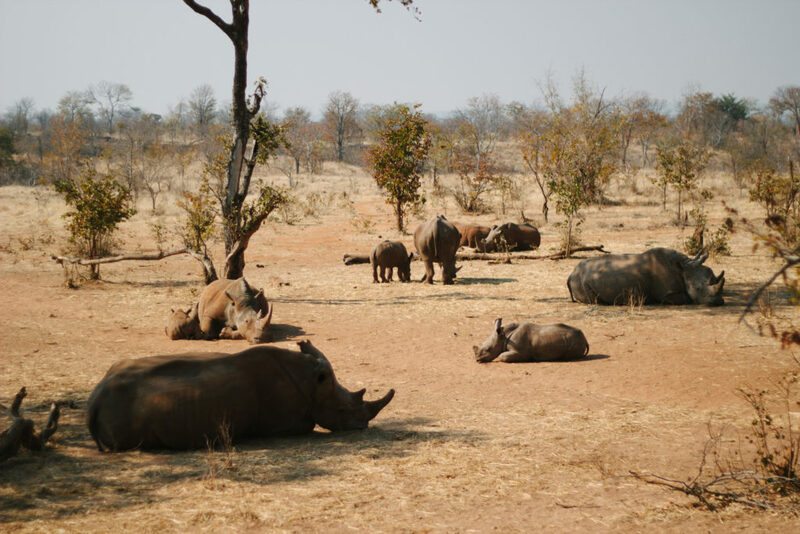 This particular group of rhinos lives in the wild but are under constant supervision by their “security detail” since rhinos are highly prized by poachers. We were lucky enough to find a group of 12(!) all resting and relaxing together. 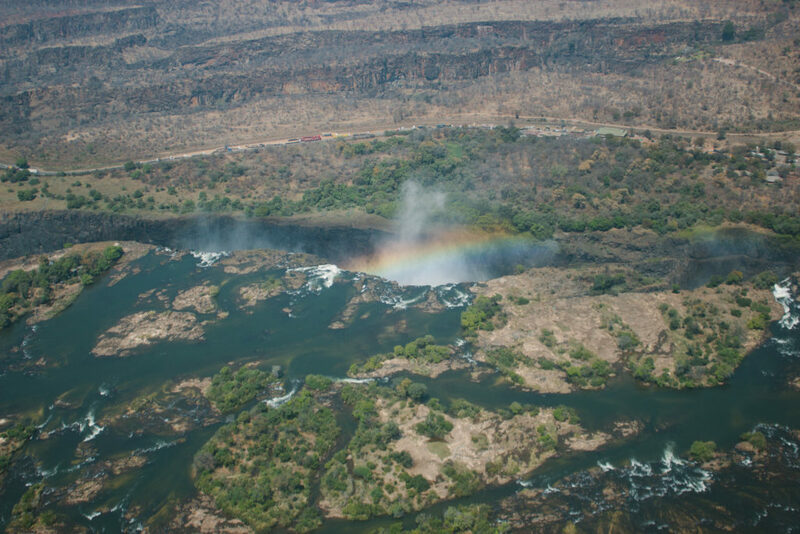 Next up was my first ever helicopter ride – through the gorge and up and over Victoria Falls. It was truly one of the most amazing visual experiences of my life – get a taste of it with this video I took. 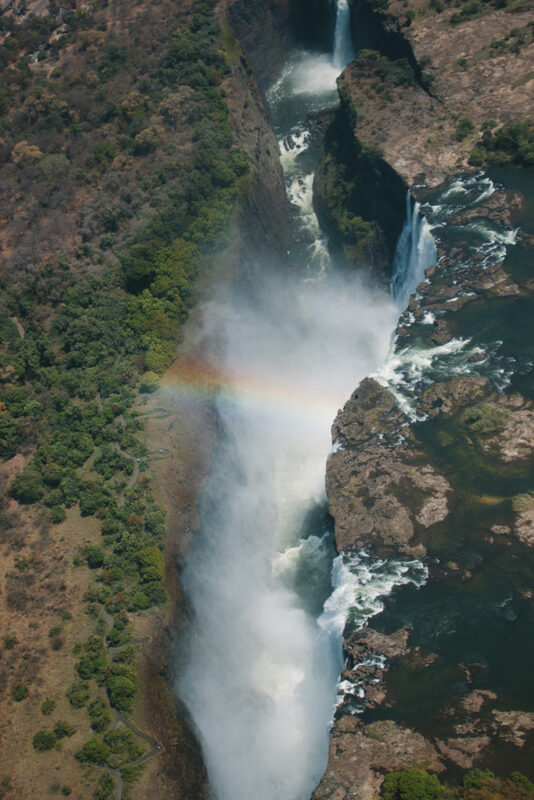 Being able to see the falls from above was truly something to treasure. From there we took a brief hike around the Zambian side of the falls, and then went to cross the border to the Zimbabwean side, since we’d been told the better view was from that side. 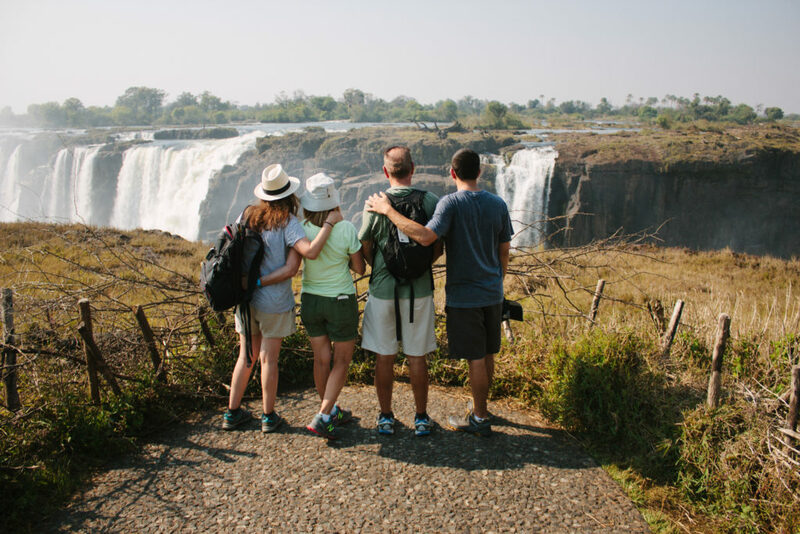 Warning: crossing the border between Zambia and Zimbabwe takes a long time, and a lot of money in Visa fees if you are Canadian. 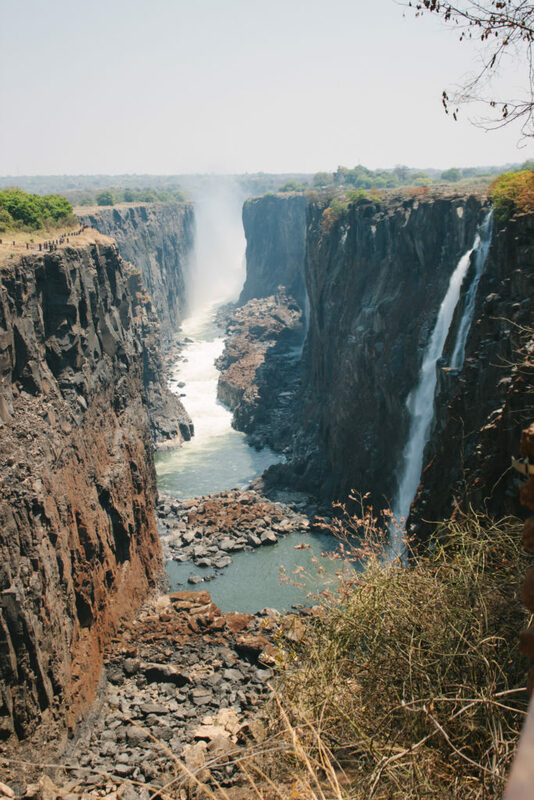 We finally made it across, and ended up taking a nice guided hike (ok, it was more of a walk) through the Zimbabwean side of the falls, and indeed, the Zimbabwean side is far more impressive, with lots more water flowing from the falls. 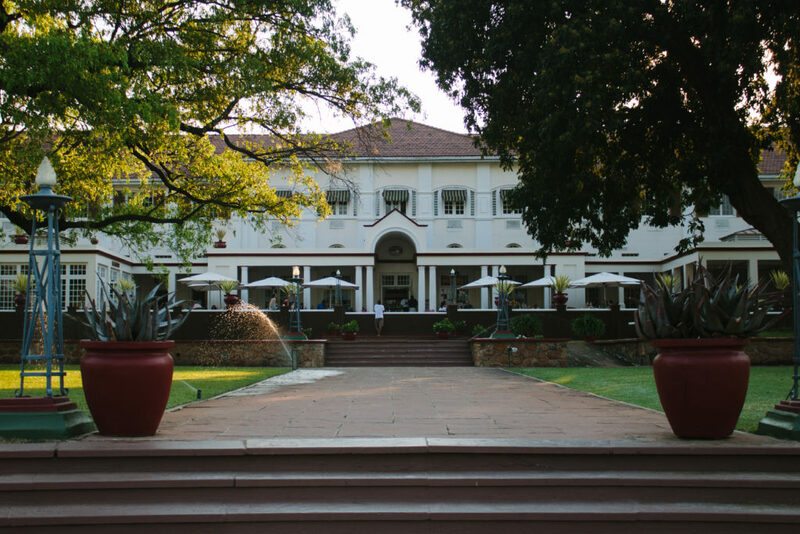 We followed this up with high tea on the patio of the very Colonial-vibe Victoria Falls Hotel. 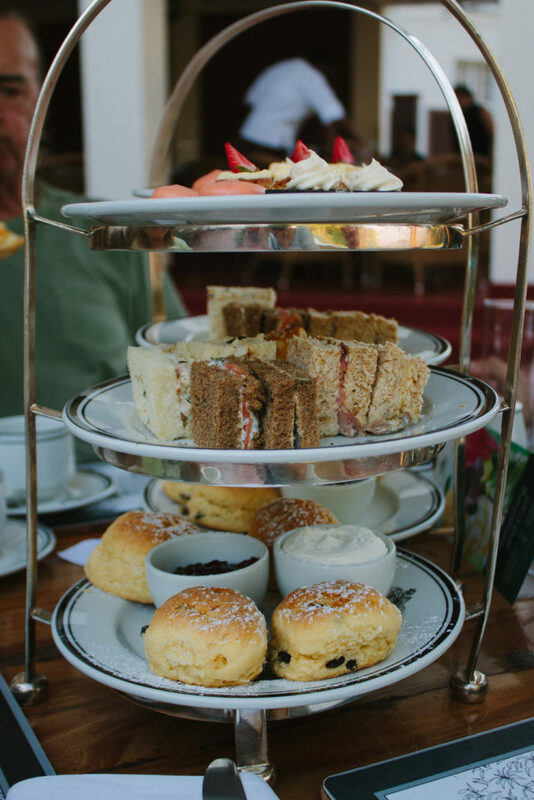 A beautiful view to enjoy scones with jam and cream. 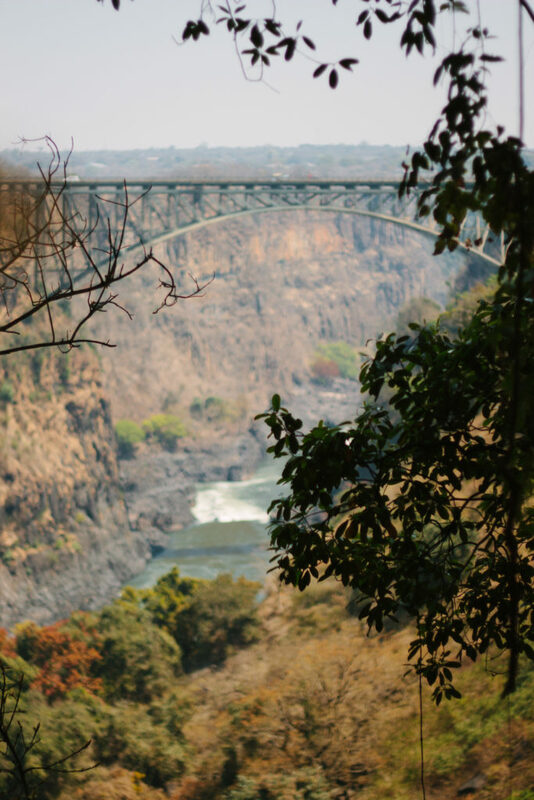 Our time at Victoria Falls was short but lovely. 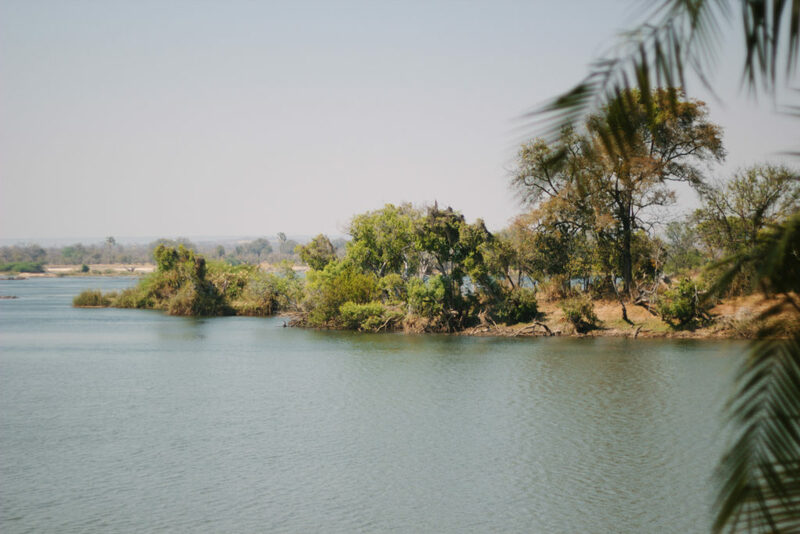 We particularly loved the people in Zambia, and found everyone we encountered warm and friendly, and were so spoiled by the incredible accommodations. 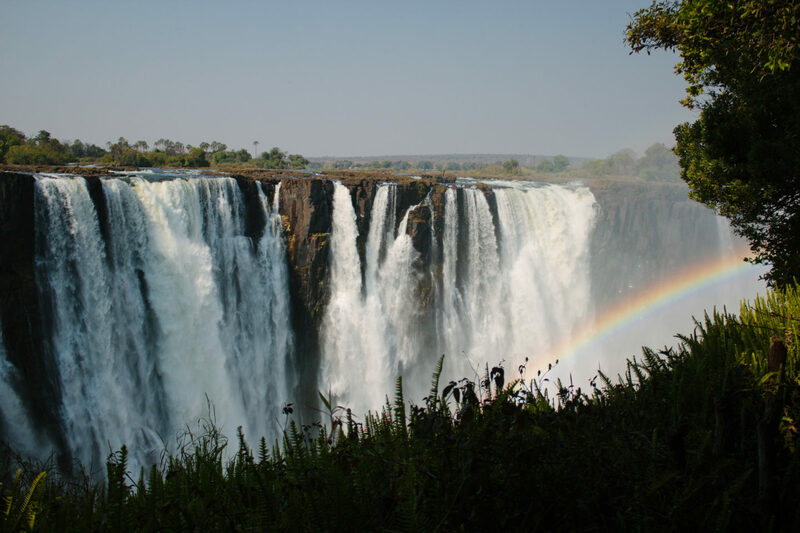 While Zimbabwe definitely had the better experience of the falls, I felt lucky to have been able to stay in Zambia. …and I think you should adopt me….wonderful shots and commentary ! Haha we’ll have to talk to my mom and dad about that Linda ;). Thanks so much! Thanks Jenny! More coming very soon! You are so talented , Michelle. I thought I was entering into a Rudyard Kipling novel when reading through . So great to follow you guys in those sites so unique . 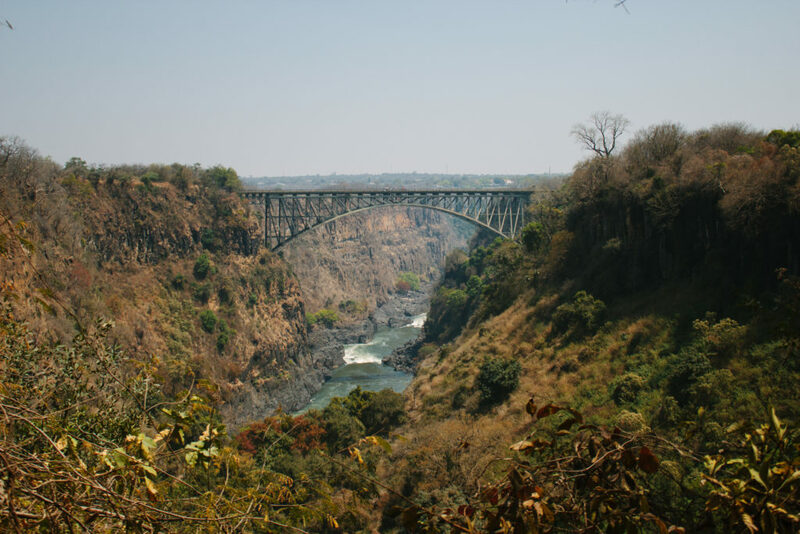 No one was tempted by the 111m bungi jump over the Zambese river…?? Thank you so much for taking the time to write so well and post duché great pics. Thanks for reminding me of the wonderful memories from so long ago. Michelle what a fabulous post/vacation. keep them coming! You are not busy right???? Thanks Anne! Next post is coming up next week so check back. Absolutely wonderful, Michelle. 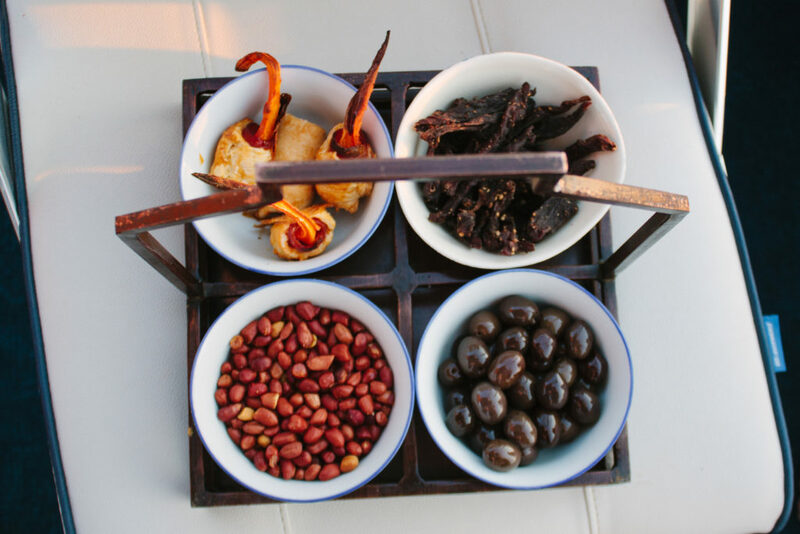 Your dad was truly gushing (Barry doesn’t gush very often) when he described the trip. However, words couldn’t do justice to your beautiful pictures and clear, concise commentary. This may be the catalyst to a similar trip by my family. Thank you so much for your lovely comment Don! 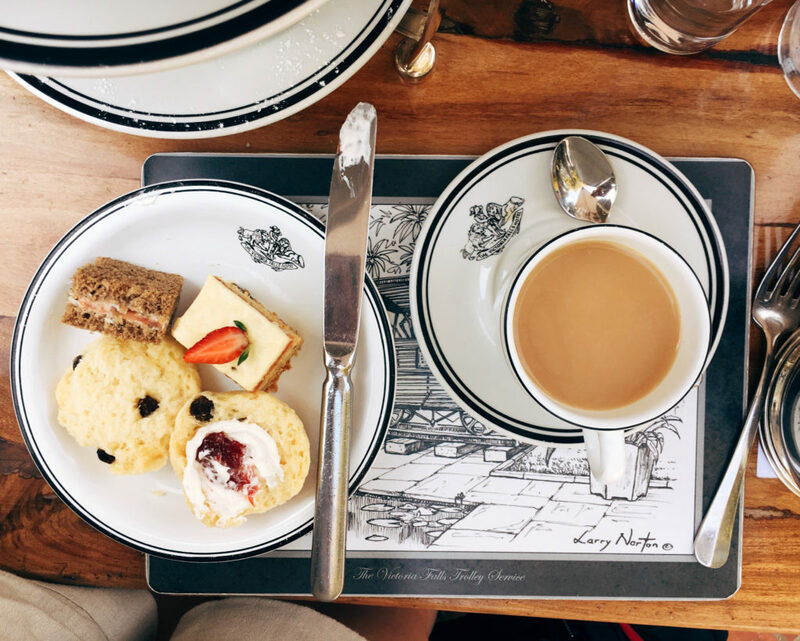 I hope you do end up on a similar trip – it’s the experience of a lifetime!